Alizarin is coming along v - e - r - y s - l - o - w - l - y. 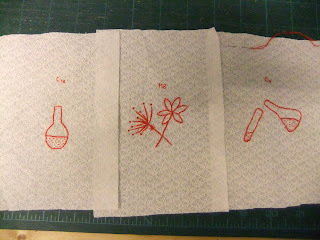 As you can see I have only done the redwork embroidery so far. Will keep you posted with it's progress. 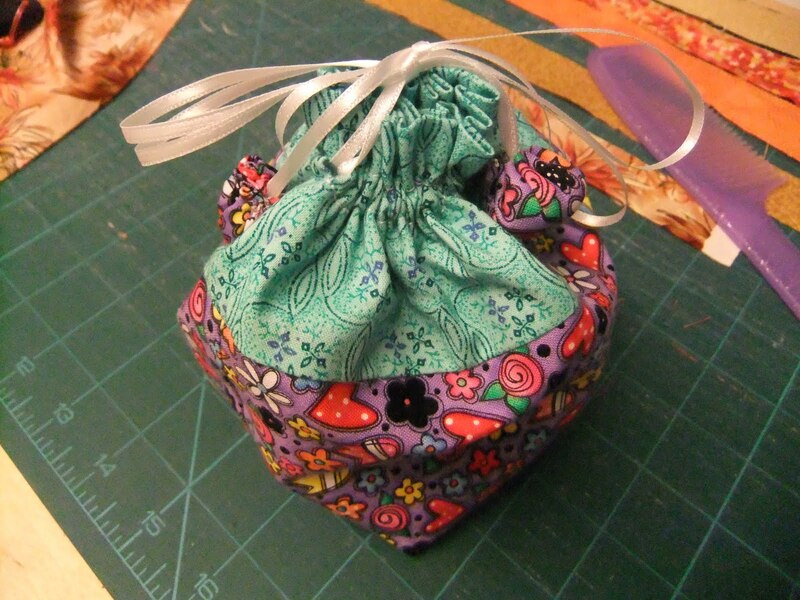 This little bag was made for the Quilters Guild 'put-em-ins'. 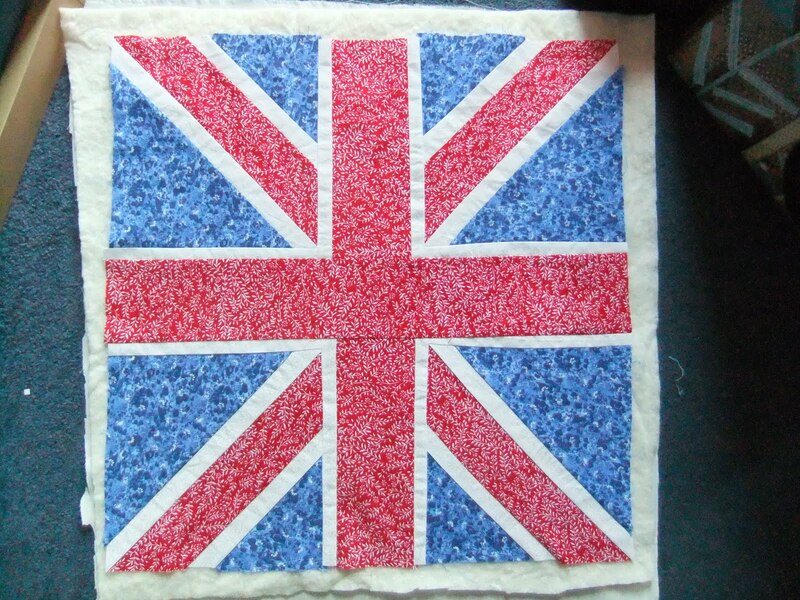 They will be selling them at the Festival of Quilts in Birmingham in August in a tombola style thing to raise money for the upkeep of their quilt museum in York. 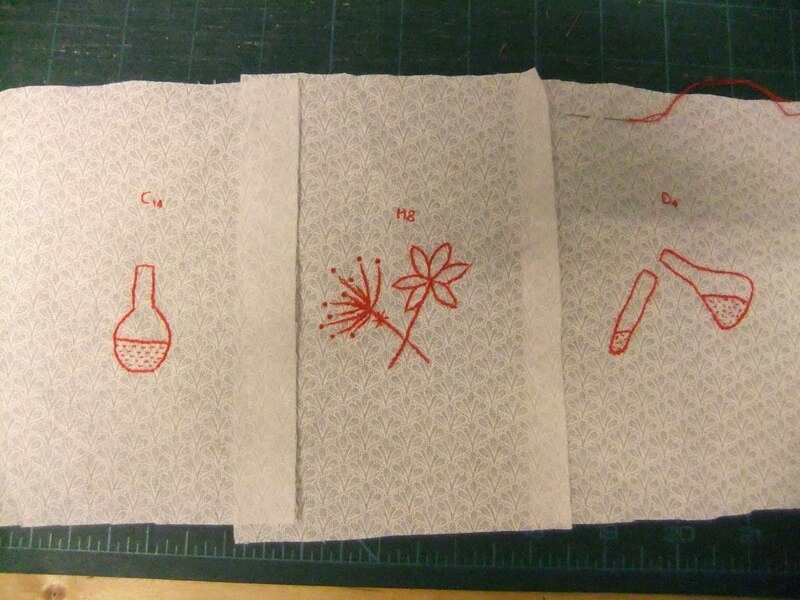 This was a little pattern that Jackie brought with her. I also made one for myself. Jackie and I had a Sewing Sunday - but without the Soup this time - instead we had South Square Salad. 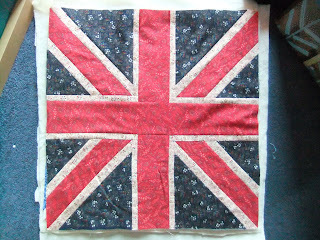 Jackie had brought this pattern along - we are making cushions so we can sit in comfort to watch the Royal Wedding. The top one is mine and the one underneath is Jackie's. 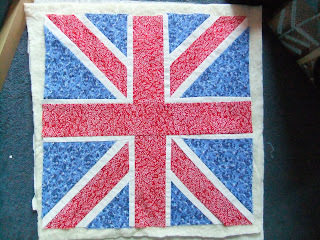 Other news - I won third prize in the Imperial Quilter's raffle on Monday night. I got some wadding!! Very exciting - never won their raffle before! 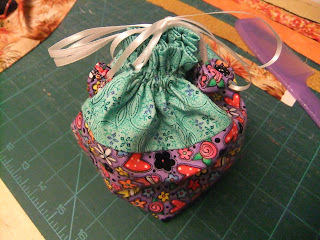 Didn't bother taking a photo of it because wadding isn't terribly exciting to photograph! Those are very lovely - glad that I have found you again!